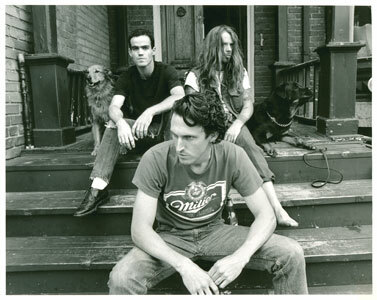 Two-thirds of Mule, Jim Kimball and Kevin Munro (formerly Kevin Strickland) was made up of ex-members of the Laughing Hyenas. The other third, a former member of Wig, P.W. Long (born Preston Cleveland), was a blood relative to the Hyenas front man, John Brannon (Negative Approach).